"Process Patents Are Vital In Biotech — Why Not Extend Them?" This article appeared on Law360 on August 11, 2015 and is reprinted with permission. Process patents have had limited impact in typical Hatch-Waxman disputes. Of course, they cannot be listed in the Orange Book and are therefore not subject to a paragraph IV certification or a related lawsuit. Even so, process patents have not been a potent weapon used by patentees (branded companies) to thwart introduction of infringing (generic) products. Section 156(a) allows the term of a product, method-of-use, or process patent to be extended to compensate a patentee for time spent seeking U.S. Food and Drug Administration approval. However, because process patents for manufacturing small molecules are often easily avoided, product or method-of-use patents are normally extended under this section. The situation is different in the biotech arena, which involves making proteins — higher molecular weight products that require more complex processes for production and purification. Here, process patents can play a key role in preventing introduction of competing biologic products, including biosimilars. Unlike the Hatch-Waxman Act, patents that can be asserted against biosimilars are not listed in any compilation, and therefore no statutory impediment prevents asserting process patents against biosimilars during the approval process. Indeed, the act envisions the early identification of all relevant patents — product, process and method-of-use — and, subject to the procedures of the act, an infringement action can be commenced on any of them. Equally important is that processes play a significant role in manufacturing biologics, getting them approved, and, conversely, obtaining approval of any competing products. An applicant seeking biosimilar status for a so-called “follow-on” product must, among other things, establish that the manufacturing process provides for a safe product. 42 U.S.C. § 262(k)(2) . Thus, for those seeking to market biotech products, process patents are critical. “Unlike small molecule manufacturing, biomanufacturers get approval for both the drug and the process used to make it, and that approval can take years.” Alison McCook, “Manufacturing on a Grand Scale,” The Scientist, Feb. 14, 2005. Indeed, the FDA plays strict attention to the manufacturing process to ensure that a biologic is biosimilar or interchangeable with the reference product and is consistently reproduced. “Issuance of a biologics license is a determination that the product, the manufacturing process, and the manufacturing facilities meet applicable requirements to ensure the continued safety, purity and potency of the product.” U.S. Food and Drug Administration, Frequently Asked Questions About Therapeutic Biological Products, see here. But the usefulness of process patents is not limited to biosimilars and can be key weapon to prevent introduction of any approved biologic product manufactured using the patented process. A biologic product is often protected by product, process and method-of-use patents. A question may arise regarding which patent should be extended under Section 156(a). In making this decision, one must realize that the scope of protection during the extended term differs, and this difference should be considered in deciding which patent to extend. Accordingly, during the extended period, the scope of protection for both product and method-of-use patents is limited to the use approved by the FDA for the original patented product. For example, where a patented product is approved for indication A, that patent provides no protection during the extended term when a competitor seeks FDA approval for the same product for indication B. This limitation on the scope of product and method-of-use patents, as extended, is confirmed by the legislative history of the act. [Section 156(b)] provides that the right to be derived from the restoration of a patent term are limited in scope to the product or method subject to the regulatory review period and to the specific use for which regulatory review was required by federal statute. Thus, if a chemical is subjected to regulatory review for new drug uses, but is also marketed for other commercial uses, the patent term extension would apply only to the new drug uses for which regulatory review was required. The Hatch-Waxman Act’s legislative history explains, “[I]f a chemical is subjected to regulatory review for new drug uses, but is also marketed for other commercial uses, the patent term extension would apply only to the new drug uses for which regulatory review was required.” Similarly, the scope of protection during the restoration period for a patent that claims a method of using a drug product is limited to the methods of use claimed in the patent and approved for use. The scope of protection during the restorative period for a patent claiming a method of manufacturing a product is likewise limited to the method as used in making the approved product. During the extended term, a process patent can prevent a competitor from using the patented process to make any approved product, regardless of its intended use. This result directly flows from Section 156(b)(3), which unlike Sections 156(b)(1) and (b)(2), is not limited to the use(s) approved for the original or reference product. 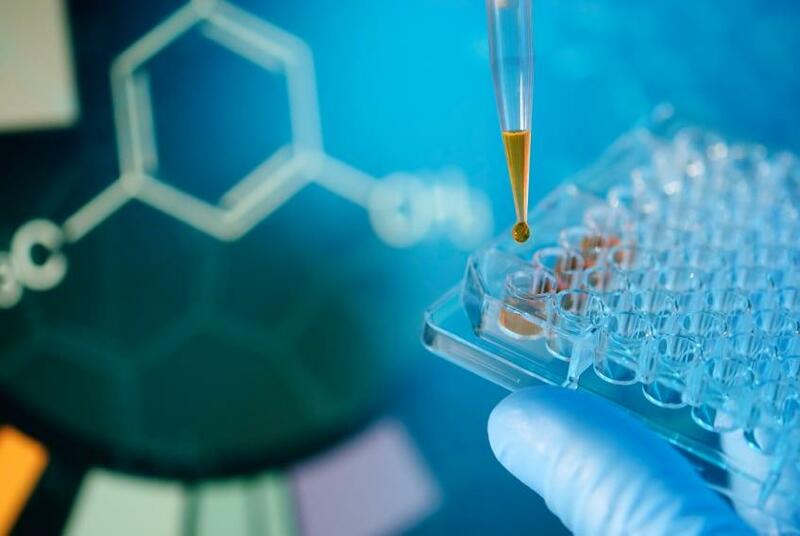 This may not be a major concern for biosimilars because any use approved for the biosimilar must be for a use approved for the reference product. But a process patent will prevent the use of the patented process to manufacture any approved biologic product, regardless of its intended use. Product and method-of use patents will most often provide superior protection than process patents during the original patent term. But the value of both types of patent during the extended term may be limited when compared to process patents, especially when actions under section 271(g) against foreign manufactures are considered. Consider, for example, patents covering EPO or Humira or the Cabilly patent. Accordingly, while extending a process patent is certainly not the norm, one should at least consider this approach in the biotech field. Moreover, process patents will often issue after the issuance of related product or method-of-use patents. If so, the term will be longer than the other patents, assuming that the process patent does not have the same priority date as the original application for the product patent. Various cases have held that an Orange Book listing or a paragraph IV certification is not necessary to support jurisdiction in the actions instituted under § 271(e)(2). See, e.g., Astra Zeneca Pharmaceuticals v. Apotex Corp., 669 F.3d 1370 (Fed. Cir. 2012); Merck Sharp and Dohme Corp. v. Sandoz, Inc., No. 12-3289 (PGS), 2013 WL 591976 (D.N.J. Feb. 14, 2013);Cephalon Inc. v. Sandoz Inc., No. 12-3289 (PGS), 2013 WL 591976 (D.N.J. Feb. 14, 2013); Cephalon Inc. v. Sandoz Inc., No. 11-821-SLR, 2012 WL 682045 (D. Del. Mar. 1, 2012). Moreover, in Glaxo Inc. v. Novopharm Limited, 931 F.Supp 1280 (E.D.N.C. 1996), aff’d, 110 F. 3d 1562 (Fed. Cir. 1997), suit was instituted under §271(e)(2), but included allegations of infringement of a related process patent. A so-called “Purpose Book” exists, but its contents and role are much different from those of the Orange Book. If more than one use is approved for the reference product “before the expiration of the patent,” the extended protection also applies to those uses. See 35 U.S.C. §§ (b)(1)(A) and (B)(2)(A). The question arises whether the italicized clause refers to the original patent term or the term as extended. Regardless, (b)(3), covering process patents, is not so limited. This may be another reason why extending a process patent is more beneficial than extending either a product or method-of-use patent. H.R. 6444, Report No. 97-696, 97th Cong. 2d Session at 10 (1982). Section 8:4:3 (PLI 2014) (emphasis added) (footnotes omitted). See also, Beers, Generic and Innovator Drugs, A Guide to FDA Approval Requirements, 4.04 [c], 6th ed. (2004).